You like Chiptunes? Want some chippy, glitchy, nasty drums for your tunes? Don't pay too much for too little from the other guys! These drums have all the 12-bit, 8-bit and 4-bit glory that you love! I processed each of these kicks, snares, hats, cymbals, percs and FX from a series of chip emulators. Then I stacked 'em, effected 'em and precision-chopped 'em for your enjoyment. After I made the whole collection, I took the liberty of taking the kicks and snares and running them through the nastiest digital distortion algorithm I could find to get even more dirt and low-bit beauty out of them. 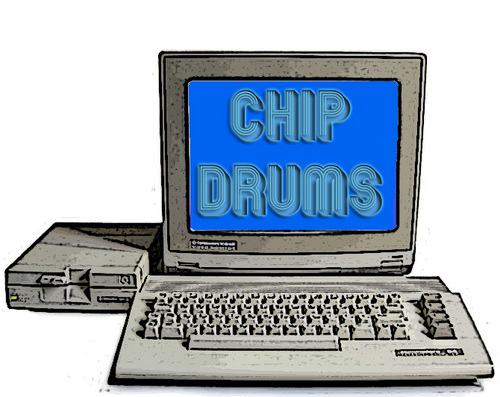 Whether you're making some killer chiptunes, layering in your techno, electro, dub-step and hard house or making some wicked programmed industrial goodness... these drums will find a great place in your productions. Another great little pack, big thanks to Sample Fiend! Cool samples man, sounds like a nasty, stacked version of C64/Atari type stuff... very nice! Mp3 8bitches - What Is Chip Hop?